I can't believe that I am already half the way through my course, and I haven't even begun to think about what I am going to do when I graduate *panic mode engaged*. This week we really have been thrown into the deep end with so many new things to learn! As you can see from the above photo, Monday was all about the 1950's and it was also the first time that we did hair on each other instead of our dolly heads (scary stuff). Everyone thought the look really suited me, and honestly I think they may have been right! I spent the whole time doing my models hair, shaking because I am so nervous when it comes to doing hair. I don't know why as I'm actually alright at it, but I just panic. 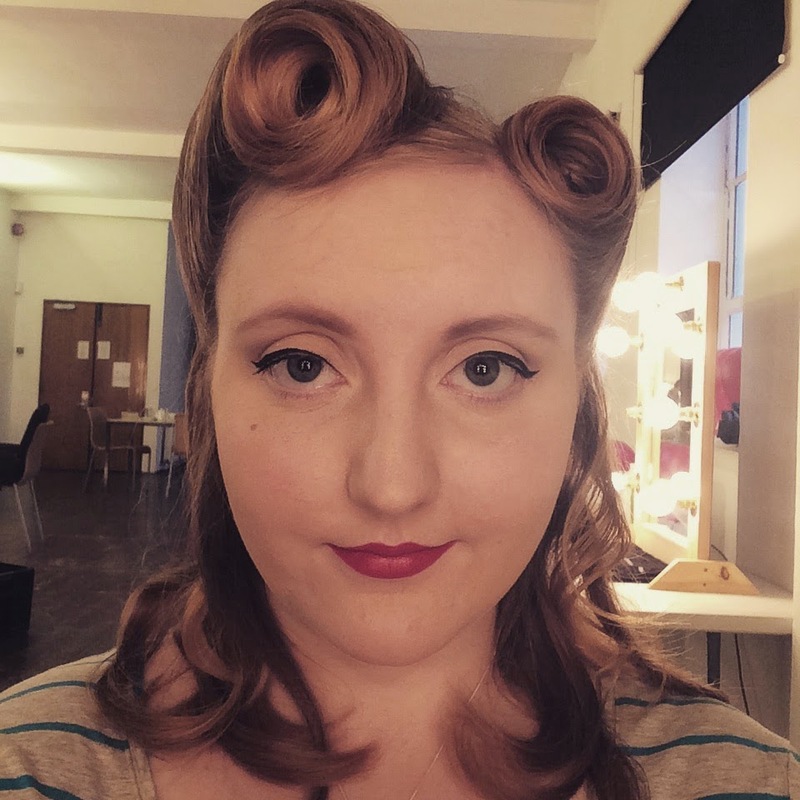 It took me so long to do the victory rolls because my hands were shaking so much but I was so pleased with the way the final look turned out. 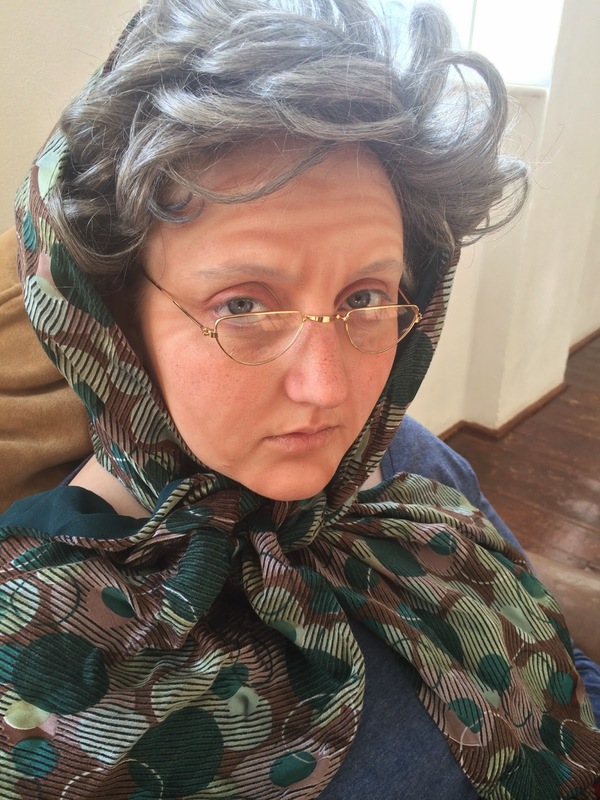 On Wednesday I got to see how I am going to look in 50 years time as we did ageing makeup. 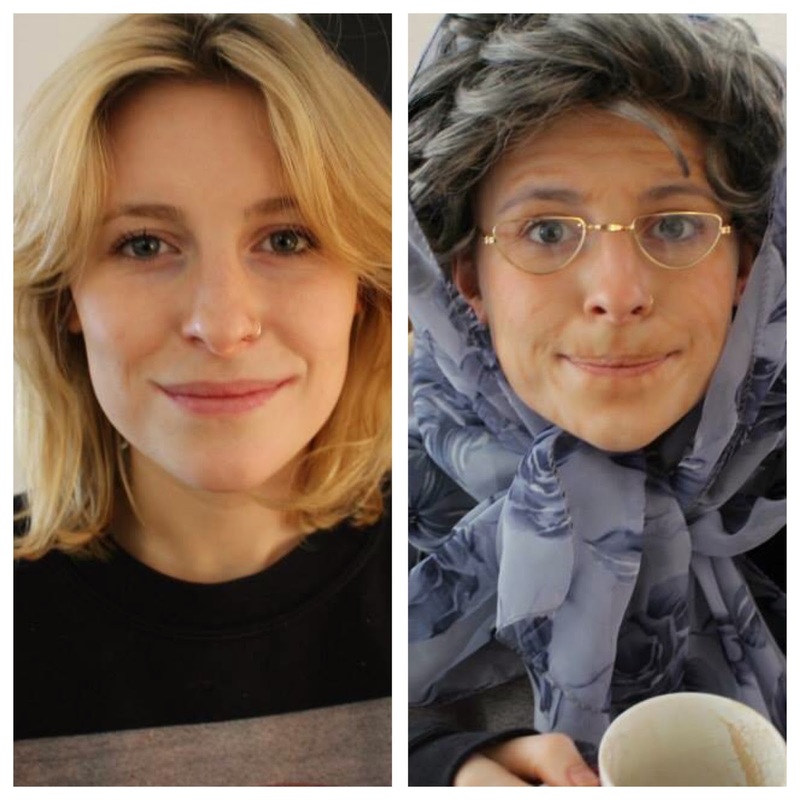 We did more of a theatrical heavy look than a TV look, but the results were honestly pretty scary. 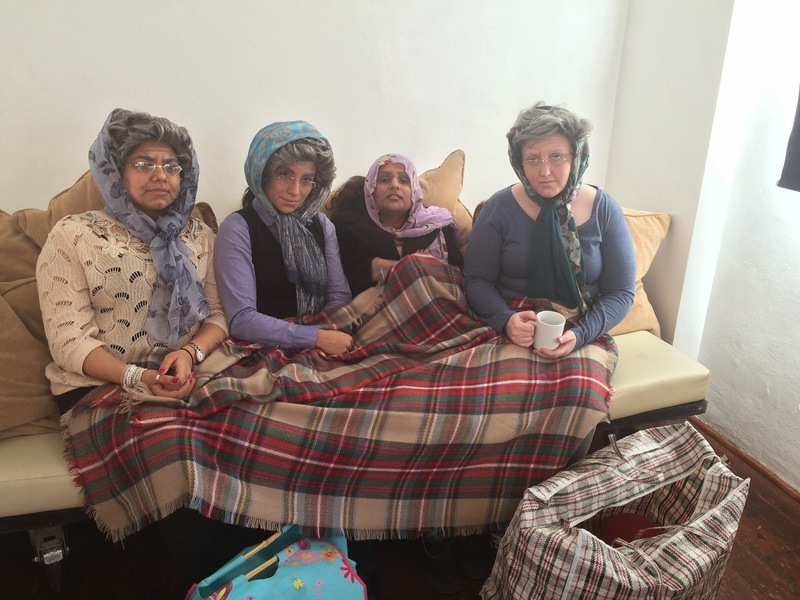 Me and my fellow grannies! 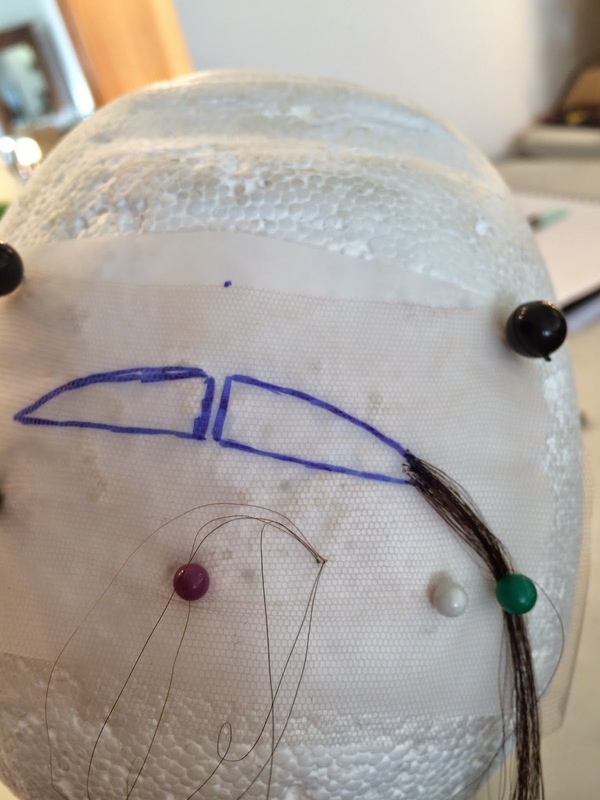 Here is the before and after transformation of my model for that day. It was honestly so fun doing this look, there were lots of giggles being had when we saw each other all made up! On Thursday we learned techniques of prepping hair for a wig, which included pin curling, and wrapping, neither of which I was particularly good at. We also got to do a slightly theatrical makeup look, and learned how to cover up tattoo's which was pretty cool! Friday was one of my favourite days so far. 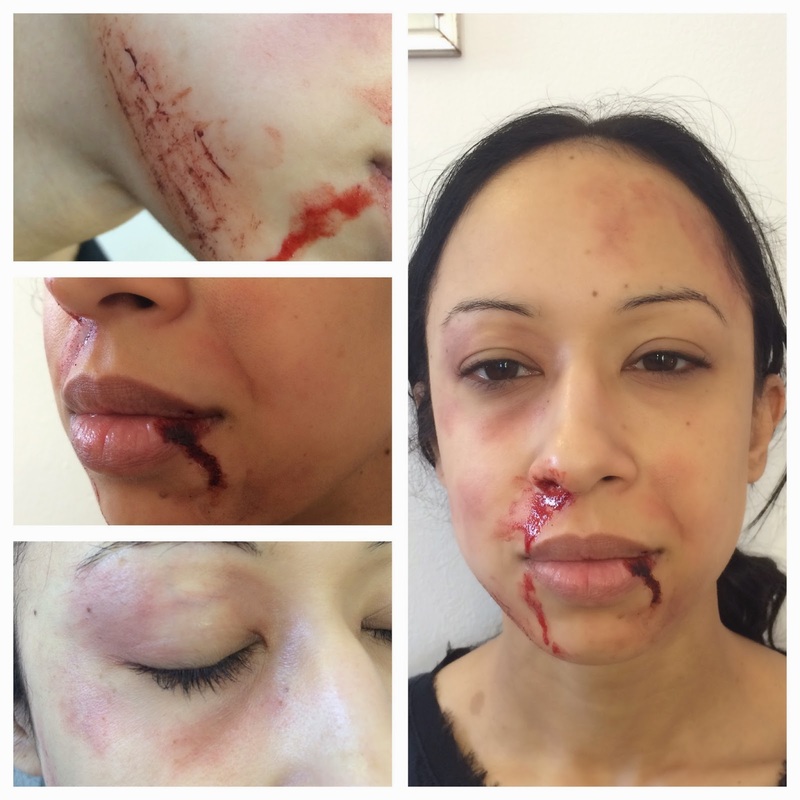 We got to do more SFX makeup, which included a fresh fight face, and a 24 hours later fight face. The above is my fresh fight face complete with graze, bloody nose, and a busted lip. 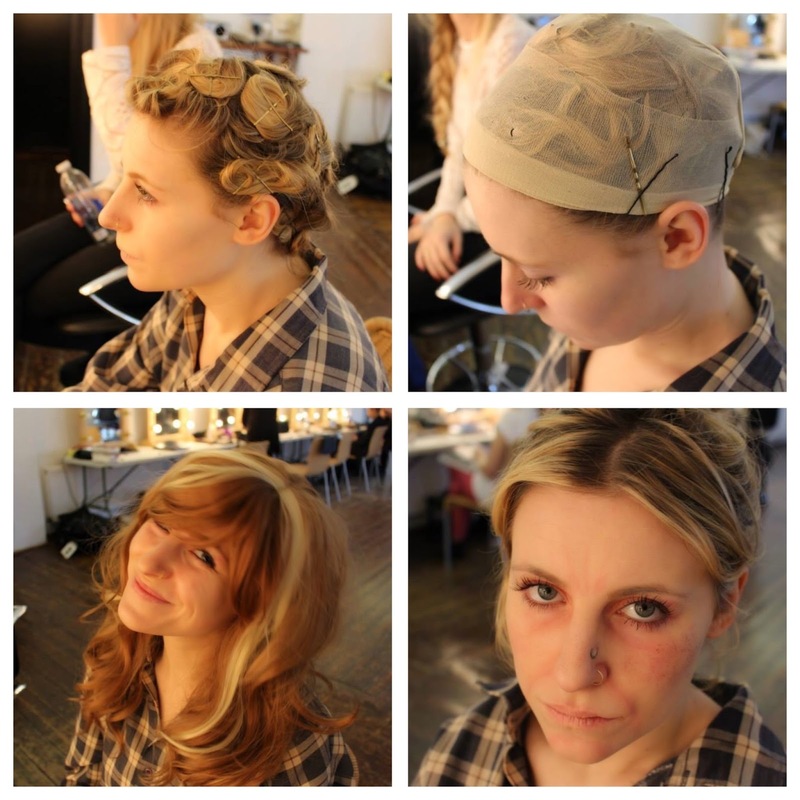 We got to use so many cool new product that I had never heard of, and this day was definitely up my street. 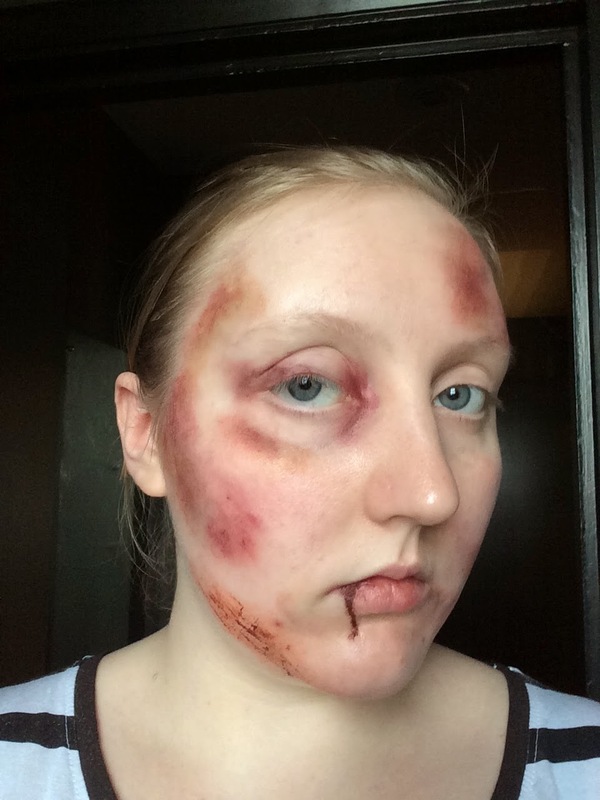 Here is an example of the 24 hours after fight makeup, so you can see the bruising is a lot darker, and the blood is a lot more dried on, rather than fresh and wet. You are learning so much! 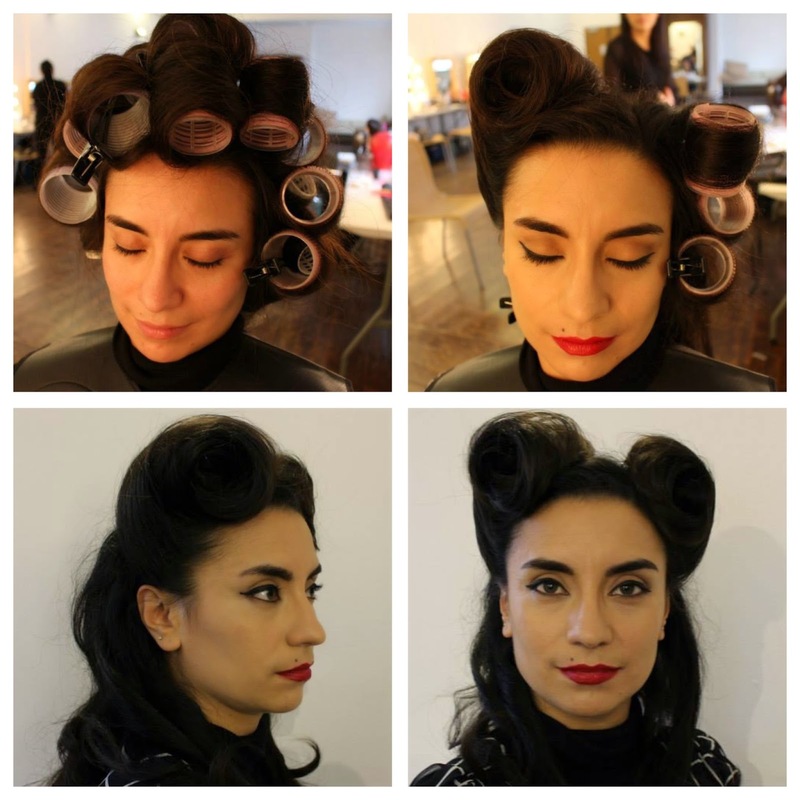 Love the 1950s hair and make up look. You have definitely learnt a lot of different techniques. Love the 50s hair. You sure are gaining a lot of skills from this course which will hopefully benefit whatever you chose to do later. Good luck with the rest of the course!